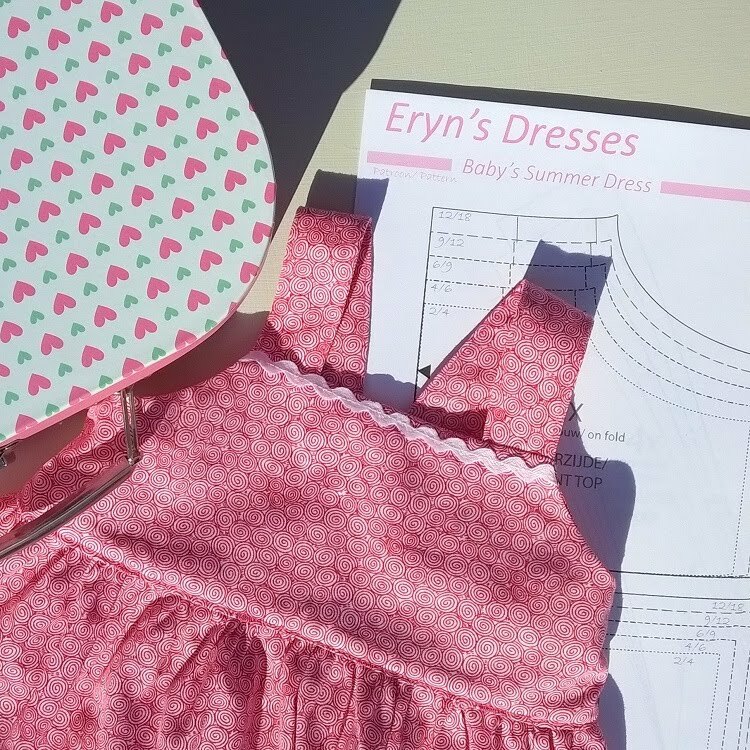 was my very first self drafted sewing pattern in multiple sizes. this post is still in the top of the most viewed every week! It even gets me viewers in USA and Canada! a (sewing) tutorial in English. I would be very happy to hear all of your remarks (or corrections). matching all-purpose (polyester) sewing thread. 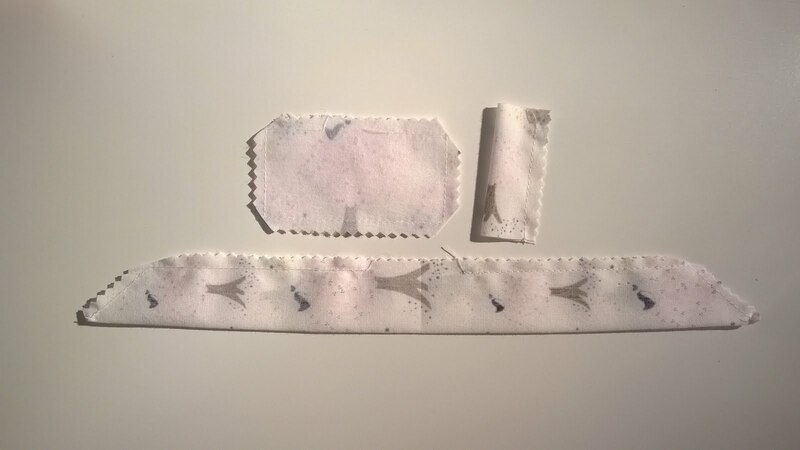 The pattern can be printed on a "A4" or "letter" paper format. Make sure your printer scale settings are set to 100%! and 3 cm (1.18 inch) bottom seam included. Align shoulder straps 2 by 2, right sides together, pin and sew. Leave short sides of the straps open. and turn straps right side out through the short sides. 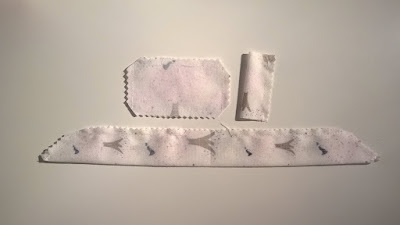 Steam iron straps and put aside. 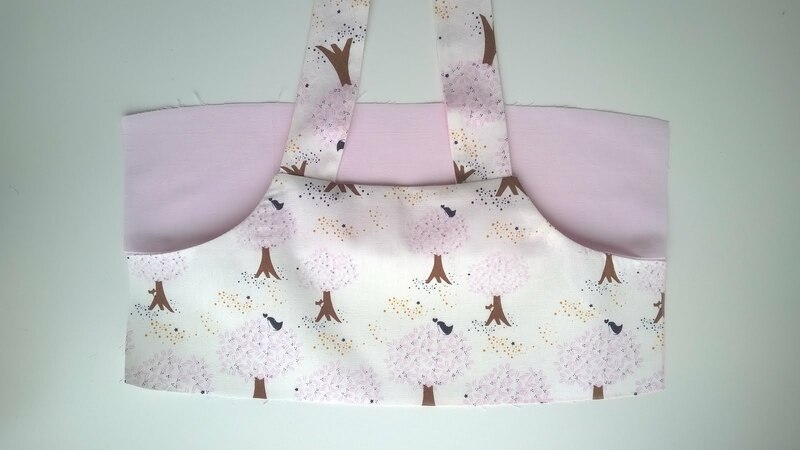 Place shoulder straps between the markings on the right side of the front bodice piece. The straps should point slightly outwards if placed correctly. 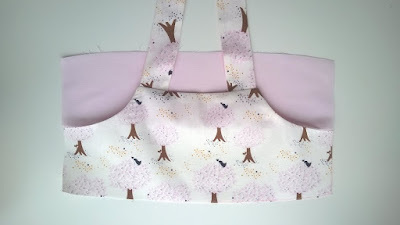 with the right side of the lining facing down. 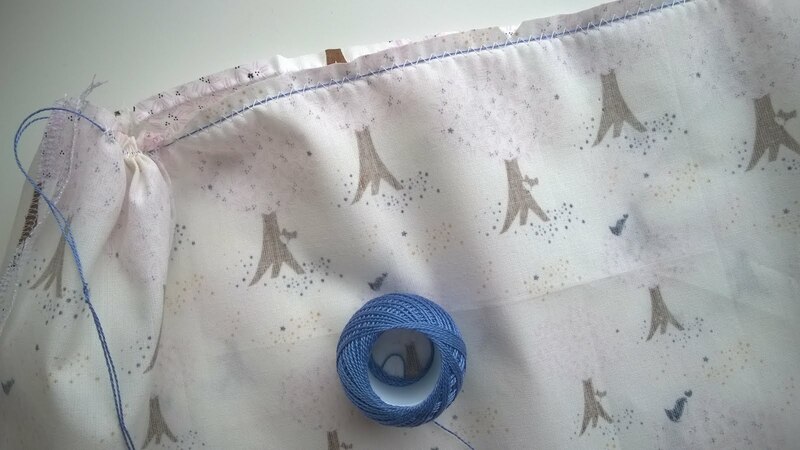 Pin and sew upper seam first. Now pin both curved sides of the front bodice piece and sew. Make sure you don't sew over the straps at this stage! Trim the corners (as shown in picture). Cut in the curved edge of the seam allowance, be careful not to cut into the stitching. Turn right side out and steam iron upper and side seams. Place shoulder straps between markings on the right side of the back bodice piece. 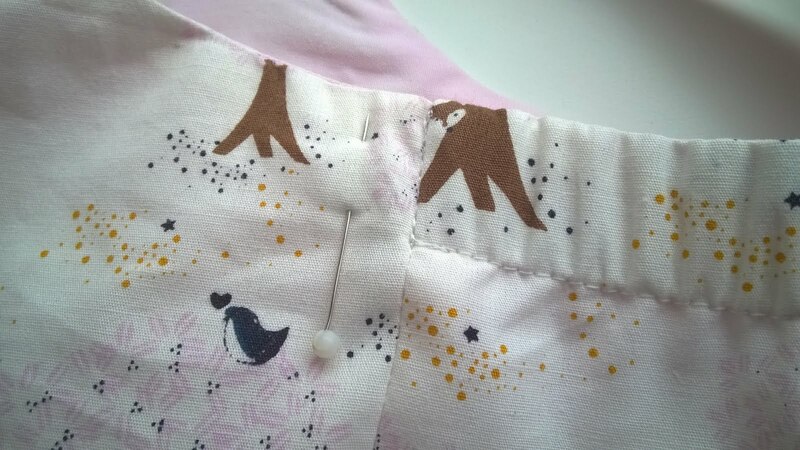 Pin and sew upper seam. Turn right side out and steam iron upper seam. 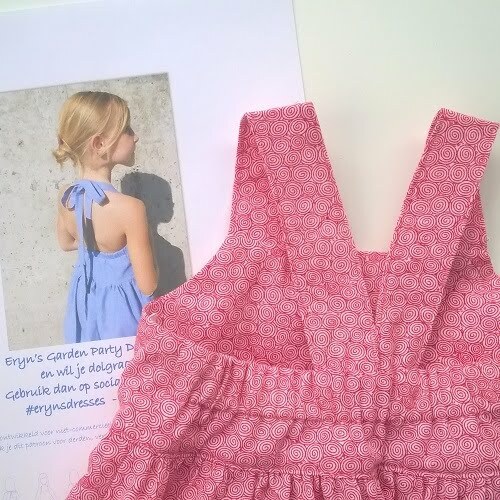 Lay front bodice open in front of you, like shown in the first picture above. 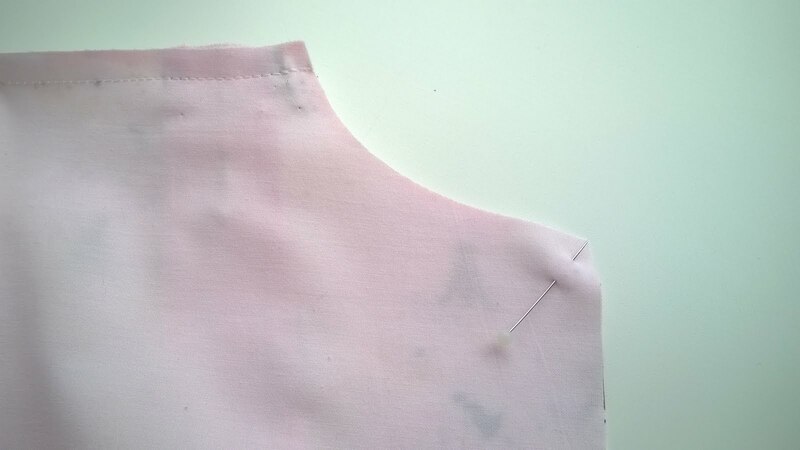 Now fold over back bodice, while aligning left and right side seams. 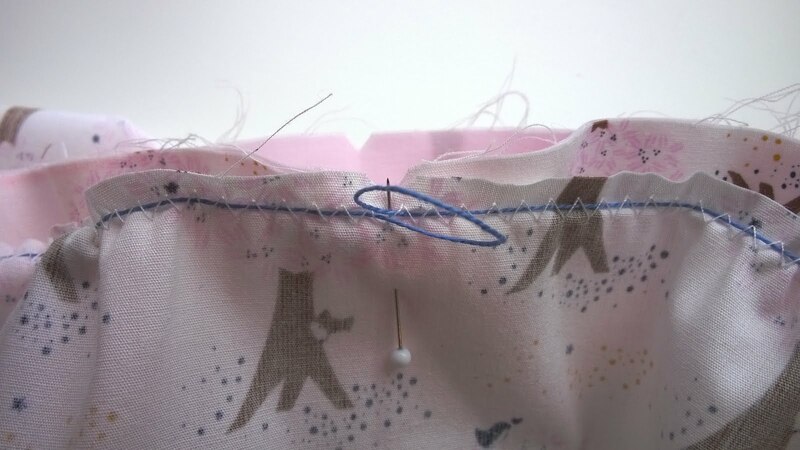 Pin seams and sew together. Steam iron side seams flat and turn bodice right side out. 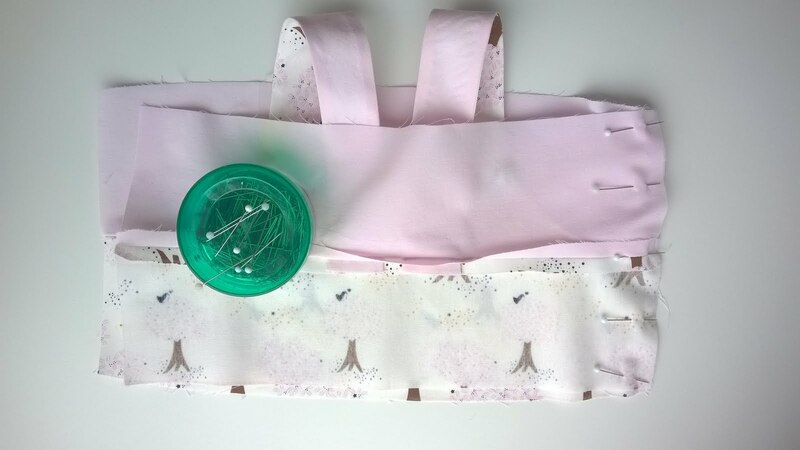 To finish of your bodice, sew a tunnel on the back side of the bodice to hold your elastic. 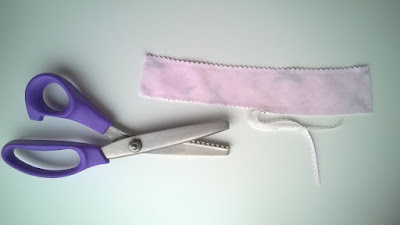 Cut of a piece of elastic that is exactly 0,8 times the length of the width of the bodice. Pull the elastic trough this tunnel (from one side seam to the other) with the help of a safety pin. Stitch the elastic in place on either side of the back bodice piece. 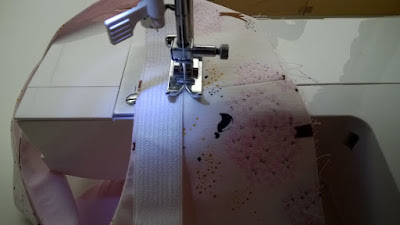 If you stitch in the side seam ("stitch in the ditch") these stitches will be nearly invisible. Serge or zig-zag the side edges of your skirt pieces. 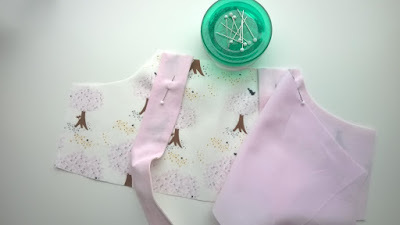 Place pieces on top of each other, right sides of the fabric facing each other, pin and sew. Steam iron side seams open. Mark back and front center of skirt and bodice. pick any method you know well and are comfortable with. Whatever method you choose, make sure your gathering threads are on the inside of the skirt. 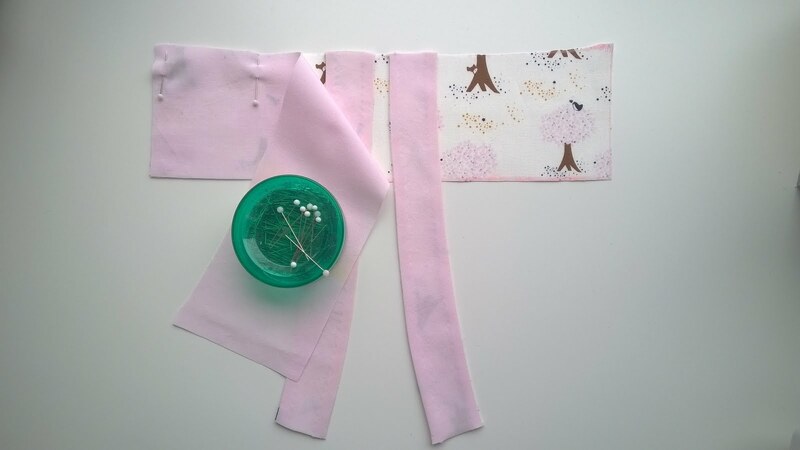 Place your skirt over the bodice, good sides of the fabric facing each other, aligning the edges, center markings and side seams. Pin center markings and side seams. Now carefully pul the gathering thread until the circumference of your skirt matches your bodice. and sew skirt and bodice together. Fold over bottom seam 1 cm (0.4 inch), steam iron. Fold over another 2 cm (0.8 inch), steam iron and pin bottom seam. 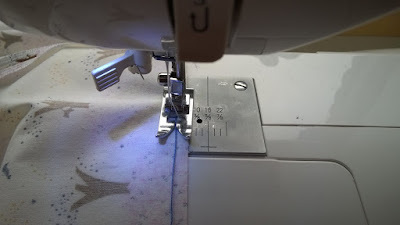 Sew down your bottom seam as closely to the upper edge as possible. 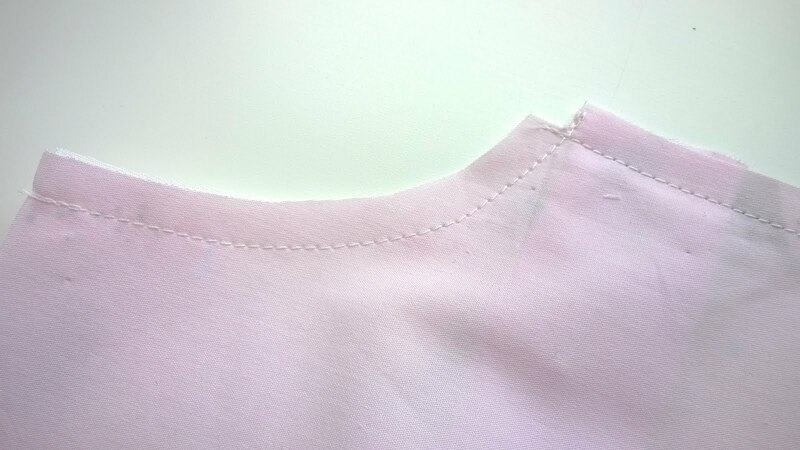 Fold in the lower edge of the bodice lining 1 cm (0.4 inch). Pin the folded edge over the stitching of the skirt and bodice seam. 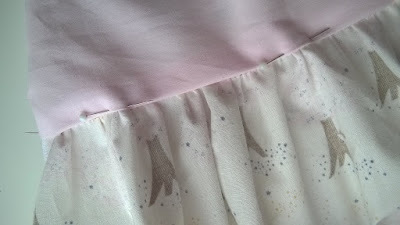 Sew by hand or stitch carefully over the seam on the outside of the dress. Your dress is now finished! Iron some facing on one of the main bow pieces. leaving open a turning hole. Trim the edges and cut in corners. Turn right side out and steam iron. The result should be a small rectangular. Hand stitch turning hole closed. Put aside. 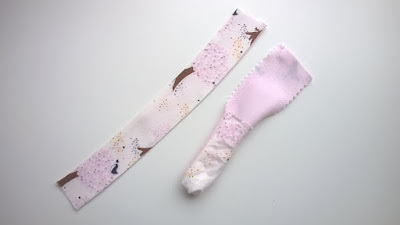 Fold the tail piece in half lengthwise, right side inside. Pin and sew around the edges, leaving open a turning hole along the long side. The result should be a ribbon with 2 slanted sides. Fold the center piece in half lengthwise, right side inside. Pin and sew along the longer edge. Trim the edge. Turn right side out, turn the seam to the center of your center piece and steam iron. Now fold in half, shorter sides on each other. The center seam you've just sewn should now be visible on the outside. Sew together these short edges of the center piece. The result should be a ring. Pull tail and bow piece trough the center piece. Dent your bow piece a little so that it resembles an actual bow. 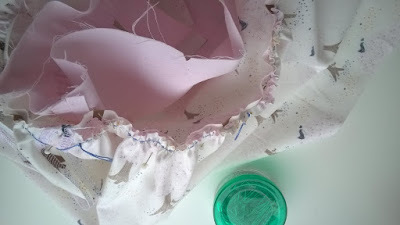 Sew all pieces together with some stay stitches on the back of the center piece. 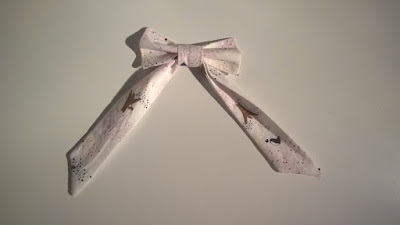 Sew this bow to the center back of the bodice at the base of the shoulder straps. Het bericht zal worden weergegeven na goedkeuring.